What is a Bumper Race? What is a Stakes Race in Horse Racing? How do you place a bet in horse Racing? What Is An Exacta Box Bet? Public Handicappes – Good or Bad? 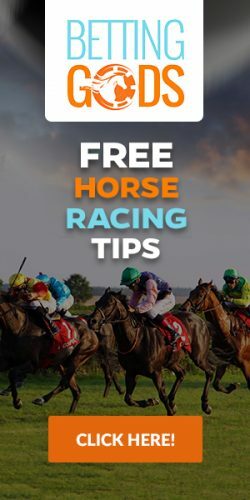 TwinSpires.com ranks very near the top of sites recommended by EZ Horse Betting for betting on horseracing. The reputation of the brand, their longstanding association with the biggest events in horseracing, easy deposits and quick payouts make TwinSpires.com a good choice for the beginning horseplayer and experienced handicapper. Looking for an Online Racebook? We highly recommend this one! The famous Twin Spires of Churchill Downs, home of the Kentucky Derby, are a recognized icon throughout the horseracing industry. Twin Spires is a wholly owned subsidiary of Churchill Downs, Incorporated and includes the assets of YouBet.com which were acquired in June of 2010. Churchill Downs, Incorporated owns some of the best and most legendary racetracks in North America including its namesake, Churchill Downs, in Kentucky, the Fair Grounds in New Orleans, and Calder Racecourse in Miami. These tracks host some of the most important races on the horseracing calendar. As such, the reputation of the Churchill Downs brand is impeccable. That same reputation was lent to online horse betting when Churchill Downs, Incorporates launched its TwinSpires.com betting platform to provide advanced-deposit wagering to residents of the United States and other areas. You can bet with confidence at TwinSpires.com. Horseplayers enjoy a variety of benefits when wagering through TwinSpires.com. It’s legal in the United States. Unlike many forms of Internet gambling, betting on the horses through TwinSpires.com is 100% legal in almost every area of the US. Setting up an account is fast and easy. Creating a TwinSpires.com account is fast and easy. Just a few simple clicks and you can be betting on the horses in minutes. No subscription fees. TwinSpires.com does not charge any subscription fees for their service. All revenues earned by Twin Spires come from the takeout of the betting pools, just like they do on an actual racetrack. There are no betting minimums, either! $100 Sign-Up Bonus. TwinSpires.com offers a generous $100 sign-up bonus to new players, and many times throughout the year also offer special deposit bonuses for racing’s biggest events like the Breeder’s Cup and Triple Crown races. You can also get $50 for every friend you refer to Twin Spires. Free Past Performances. Twin Spires players receive free past performances from Brisnet, a leader in horseracing information services. You already know how important the past performances are to your success as a horseplayer from reading the articles here at EZ Horse Betting. Getting your past performances for free can save you money and put more money in your bankroll. Live races and replays. You will never miss another horserace because you can stream races from every major track in the world on your desktop, laptop, tablet, or phone with your TwinSpires.com account. Do you need to watch a horse’s last race before you make a bet on that horse today? You can do that with the vast library of race replays provided as a part of your account. EZ Deposits and Withdrawals. Through its EZmoney online deposit and withdrawal option, all of your transactions at TwinSpires.com are handled with maximum efficiency, security, and speed. A variety of deposit options are available including Visa/MC and debit right from your checking account. You can also sign up to have your winnings deposited right into your bank account for superfast access. Real-time odds. You will receive real-time odds updates, will-pays, and more at Twin Spires. The choice is clear: Twin Spires offers the best advantages to horseplayers! Start betting now at Twin Spires! The betting menu at Twin Spires is amazing. You will get access to all of the same bets that can be made on the track: win, place, show, exacta, trifecta, superfecta, the Pick Six and more! It’s like having a racetrack right in your own living room! So, what are you waiting for? Head over to TwinSpires.com right now and open your account. As always, be sure to send your winning stories to EZ Horse Betting and we might just feature you on our blog! Click HERE to visit TwinSpires.com : US Licensed & Legal online horse betting site! Share us! Also, comment below as a GUEST! If you do not already have an account at Bovada you are missing out,Click here!! Also you can check out the bovada review! If you prefer to play casino games, guess what? Bovada also offers that! Click here!! Looking for horse racing tips? Betting Gods have over 94,000 punters receiving tips and previews from them every day Click here for the betting Gods Review! What States Allow TVG Wagering? Janelle Clair on What is In-Play Horse Betting?